Delhi is not just the capital of India, but also the city that is spread with brilliant historical structures that define the heritage of our country. Living in a fast-paced city like Delhi can be a boon, since you're atop every trend and technology that has hit the streets. But the traffic, smoke pollution and the same bumbling streets that once made you fall in love with the city might saturate you. If you're currently at this place in your life, then this is the article for you. 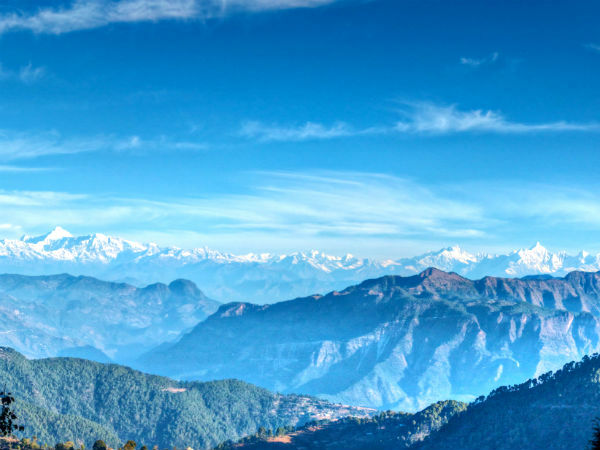 Pick a long weekend, plan and pack your bags to the city of Lohaghat in Uttarakhand. Read on to know about Lohaghat and the places you can visit on the way. Since route 1 is faster to reach, we advise you take the same. Nestled on the banks of river Ramganga, Moradabad is located about 180 km from Delhi. It is a city primarily famous for magnificent brass handicrafts, which is why it is also known as Pital Nagri which means Brass City. Founded during the time of King Akbar's rule, Moradabad was named after Murad Baksh who was the son of Shah Jahan. If you visit this city of Uttar Pradesh,don't forget to purchase their beautiful brass handicrafts. The historic city of Bareilly, located 92 km from Moradabad, has an influence of both Hindu as well as Muslim cultures. You might be familiar with the city's name due to references made in several popular Bollywood songs. Some of the places you can stop to visit at Bareilly include Jagannath Temple, Dargah-e-Ala Hazrat, remains of the ancient city Ahichchhatra, to name a few. Lohaghat, located about 200 km from Bareilly, is the next stop in this trip. Nestled on the banks of river Lohawati, Lohaghat is a picturesque hill station, that is spread with a few places of interest. Lohaghat is known for its boisterous celebration of the Hindu festivals Holi and Krishna Janmashtami. Khadi Bazaar in Lohaghat is a must visit, an ideal market to buy your souvenirs from the city. Here are the places you can visit in Lohaghat. To spend some quality time in peace, visit Advaita Ashram, also known as Mayawati Ashram, which is a branch of the popular Ramakrishna Math. This ashram has no images or idols of either Swami Vivekananda or Ramakrishna and is dedicated to study Advaita Vedanta. The ashram is set in a picturesque location that is spread with lush greenery. Set at a beautiful elevation of 6,400 ft, Abbott Mount is a pleasing little hill station that is surrounded by a group of over a dozen cottages that are spread across acres of woods and greenery. Here, you may even do some fishing of mahseer fish in Pancheshwar, which is a confluence of rivers Saryu and Mahakali. Spend some time in this mesmerising offbeat hamlet, in the arms of nature.